Serra starts free guided tours of the Sculpture route. The first visit will be next Saturday, February 16, at 11: 00h. The route requires prior registration. 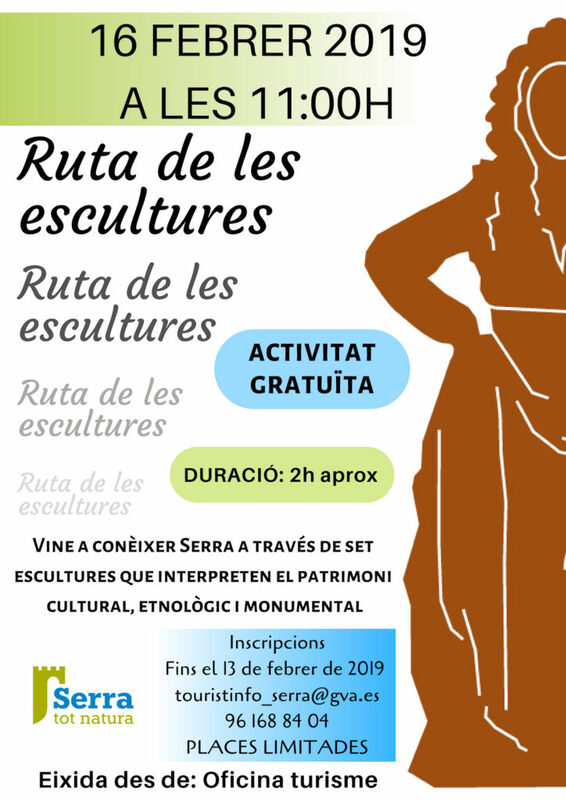 The route of the Sculptures is an urban itinerary through the historical, cultural and ethnological heritage of the municipality through seven characters. The seven characters made of cor-ten steel are the guiding thread to explain the heritage of this town located in the heart of the Calderona. The duration of the visit is approximately two hours and it is an urban tour through the seven sculptures installed that serve to enhance the heritage of the municipality. Registrations are made at the Serra Tourism office by calling 961688443 or 961688404 or by e-mail touristinfo_serra@gva.es. The places are limited. Guided tours will be carried out every month. 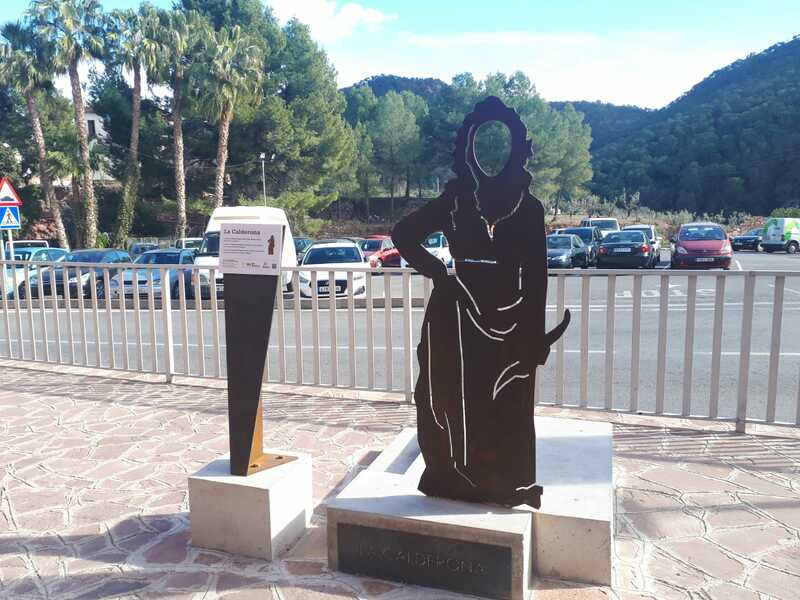 The route starts at the Tourist Info, where the first sculpture, “La Calderona”, the actress of the Madrid of the Austria that gave name to the Sierra Calderona, is located. Go through the “Font de la Salut”, where we find “l’Aiguadera” that explains the importance of water and the traditional trade linked to it. The tour continues until you reach the calvary and the chapel, where “Sant Roc” is located, which represents the most popular party in the town. From the chapel there are beautiful views of the town and the Sierra Calderona. There is also the tower of the Hermitage (S.IX), one of the towers that was part of the defensive system of the castle of Serra. We will make our way back to Les Eres and Verge dels Àngels street, where we will find “l’Espartera”, another of the traditional trades linked to the Sierra Calderona. Passing through the Parochial Church, the route takes us to the Plaza de la Font, where we find the sculpture of “el Cartoixà”, on Carrer Portaceli, where the traditional road that led to the Cartuja began, an important religious and political center dating back to from the 13th century. By the street of Pilota we reach the tower of Senyor de la Vila, where the figure of “Senyor de la Vila” will explain the feudal past of the town. The “Rei Yahia”, in the Plaza del Castell, refers us to the Arab past of the town.